I am excited to show you my dessert for tonight! 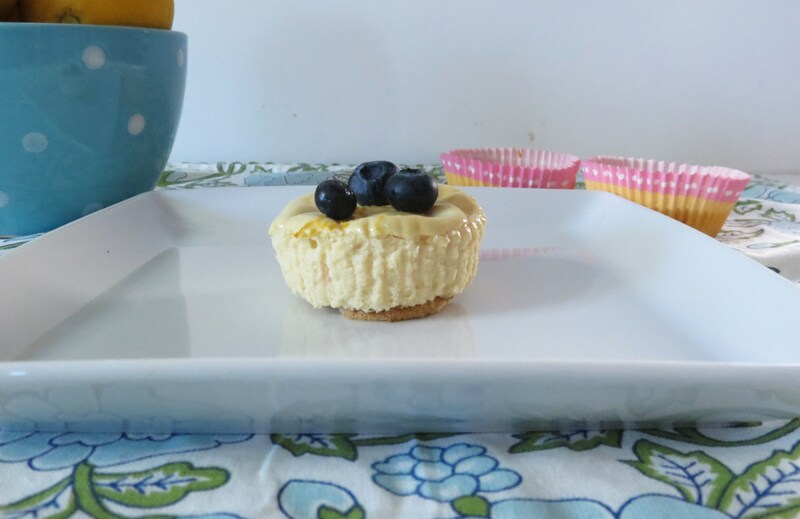 It’s a wonderful, creamy little Lemon Cheesecake. My Husband asked if I could make him cheesecake and of course I said YES, I’m not one to say no to dessert, but I had to keep it low-calorie. How the heck am I going to make a low-calorie cheesecake? Then I remembered going through the recipe section of Healthy Food for Living and there were individual cheesecakes. So I took Lauren’s recipe and modified to what I had on hand, and to what I know my family and I would like and ta da, out came this wonderful cheesecake. First the pictures do not give this little dessert justice. For some reason a lot of my photo’s came out blurry so I took the best ones to show you. For the crust I used a reduced fat vanilla wafer cookie. It worked out perfect, almost fit the whole bottom of the cupcake liner. For the cheesecake part I used fat-free cream cheese, Chobani Lemon Yogurt, an egg, vanilla extract and some sugar. Than I added a little lemon zest to sprinkle on top. That’s it! Bake for 20 minutes or so and presto you have cheesecake. It couldn’t be more easier!! Now that I have the basics down, think of all the different kind of cheesecakes I could make. I can’t believe how easy and fast this is, not to mention so tasty. This is so perfect for portion control. No more guilt of cutting into a cheesecake and wishing you could have more. These little guys come in at under 60 calories a cake. Yup, you read that right, creamy, delicious cheesecake for under 60 calories. Now you can eat two or even three and not have any guilt. I was shocked when I figured the calories out. The only thing is, that it doesn’t peel out of the cupcake liner like a cupcake. it sticks a little. So if you serve these, I would serve them with a cocktail spoon right in the cups, that way you don’t have to worry about presentation, unless of course it’s your Husband. He doesn’t care about looks, he just cares about the taste. Line a standard muffin tin with 9 muffin papers and lightly spray with cooking spray. In a small bowl add cream cheese and sugar and beat until creamy. Add vanilla extract, egg and salt, beat until combined. Beat in lemon yogurt. Place a vanilla wafer to the bottom of each muffin liner and evenly spoon the batter on top of the cookie wafer. Bake, rotating pans halfway through, until filling is set, about 22-24 minutes. Let cool on a wire rack. Chill in the refrigerator for at least 4 hours, or up to overnight, before serving. 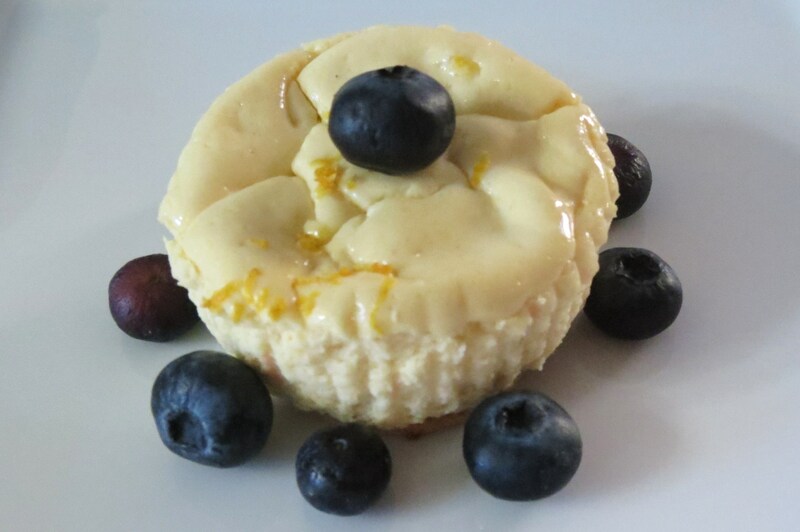 This was really one of the healthiest desserts I have made and above all its cheesecake! You have to give this a try! My whole family loved them, than when I told them the calories they just about fell over. This cheesecake is very rich, full of lemon flavor and ever so creamy. I am one happy camper and so is my family!! 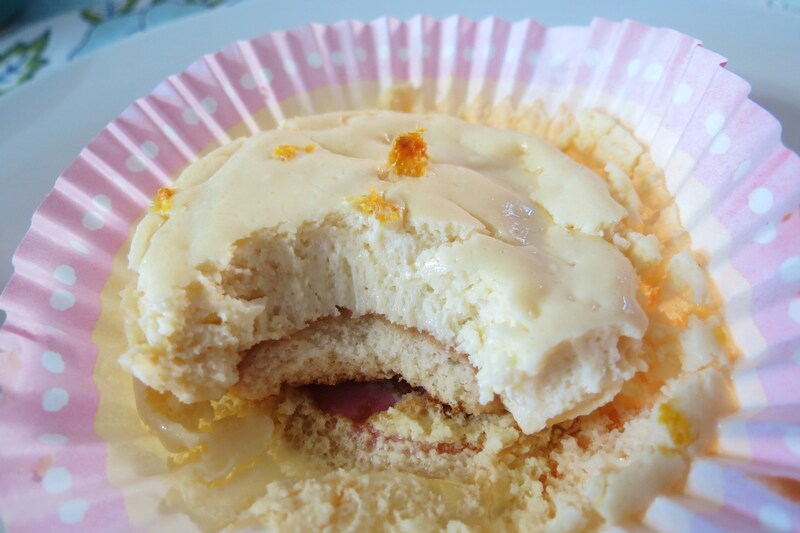 So to end my post today, all I can say is try the cheesecakes, make them, eat them, enjoy them!! Sorry, But I have to keep asking, please vote for Peanut Butter and Peppers! Thank you! Have a great day! I’m off to have a piece of cheesecake! I LOVE cheesecake. I don’t even remember the last time I had it though, this is a great compramise recipe! It’s amazing how much this tastes like a rich cheesecake. I even shock myself sometimes!!! Way to go! Another tasty looking recipe! Have you tried using the foil liners? Maybe they would come out of those easier? Great idea! I’ll try that next time! Never thought of that!! Wow, 60 calories?! You are a rock star! 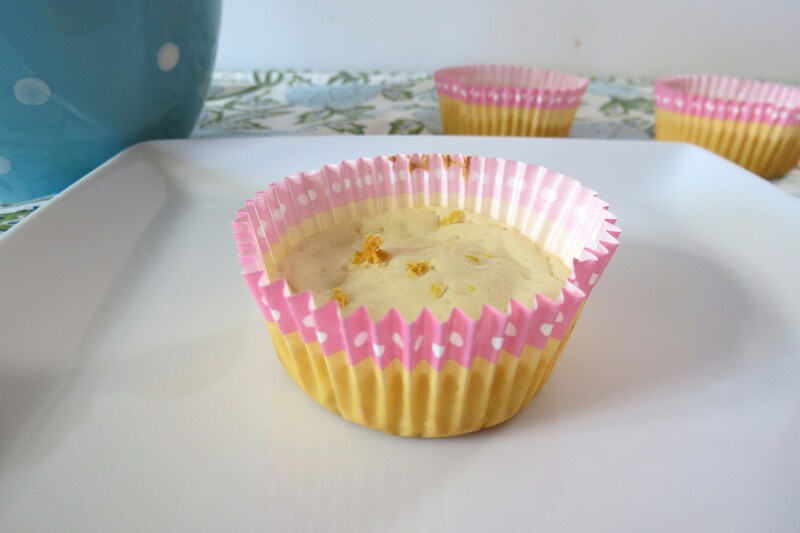 I love this – it’s wonderful to have recipes like this to feel like you’re indulging without indulging at all! We have to fool ourselves every now and then! 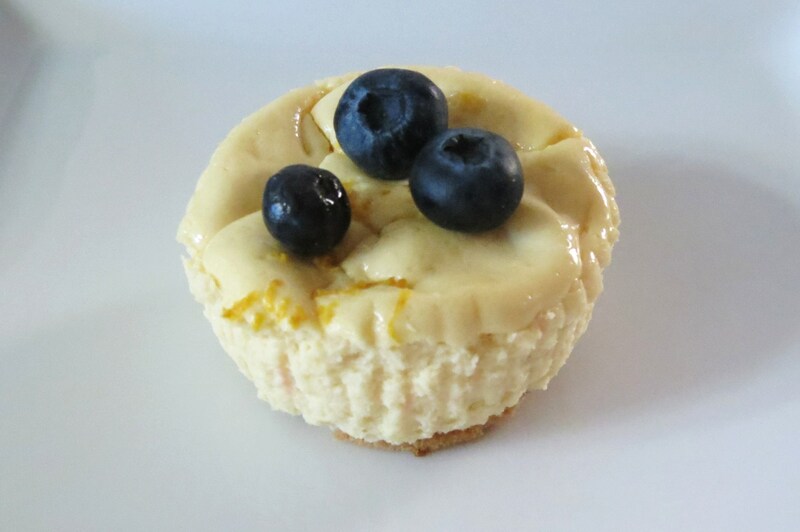 I can never say no to a cheesecake:-) These sounds so light and refreshing…and light too! Awesome!!! 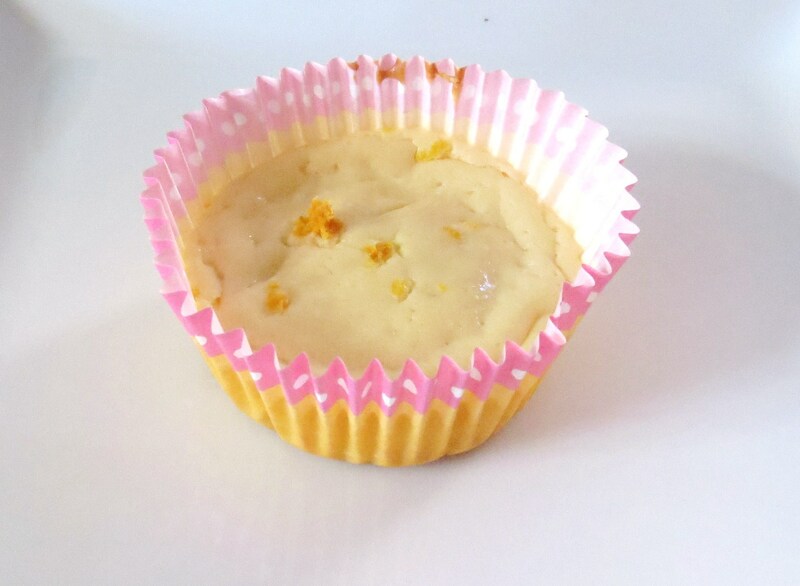 Do I add the zest into the mixture or over top after poured into the cupcake tin? 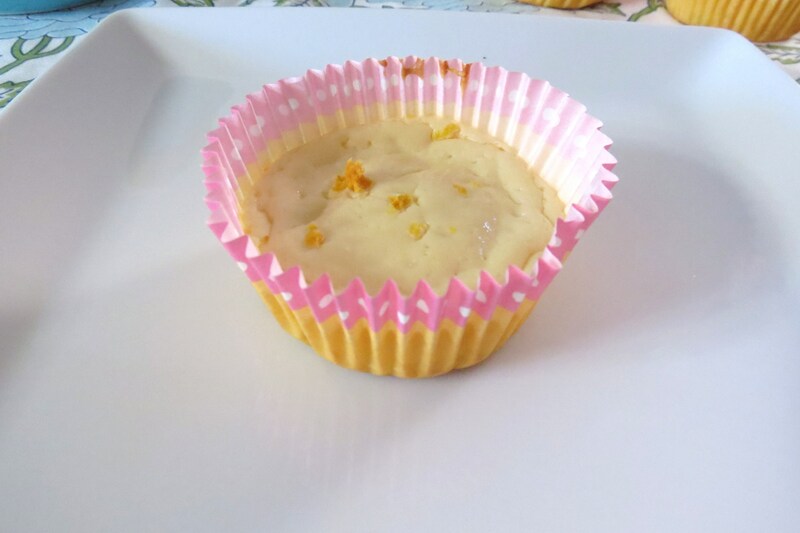 Hi Nikki, I add the zest over the top of the poured cupcake, but if you added it in the mixture that would be fine too! Lemon is one of my favorite dessert flavors and I adore cheesecake, so I fell in love when I found this recipe on Pinterest. I made these last night with a few minor changes. I used splenda, lemon snap cookies and left out the salt and lemon zest. Because of the higher calorie cookie, mine ended up 70 calories each, but the boost of lemon flavor from the lemon snap was well worth it. They are so good. Especially with a bit of fresh strawberry to top them. I will definitely be making them again. Thanks so much for this recipe. Oh your sound good! The lemon cookies are a great idea! I’m going to pick some up from Trader Joe’s today and try that!! I’m glad you liked the recipe! Fat-free cream cheese and fat-free lemon Greek yogurt? These sound amazing! If I can’t find lemon greek yogurt, would plain greek yogurt with lemon squeezed in work, or should I just get regular lemon yogurt? I would probably use greek yogurt and buy lemon extract and just try a a drop or two in it. I’m afraid the juice of the lemon may make it to liquidy.